Get ready to take the DiSC personality assessment test with JobTestPrep. Preparing for the DiSC personality test will increase your chances of standing out during the application process and getting the job you want. On the DiSC multiple-choice questionnaire, you are given an adjective or phrase to rate your own behaviour. The online test is generally short, ranging between 12 and 30 questions. The DiSC personality profile is based on these self-reported answers, and results are given automatically. You can start getting ready with the Free Personality Test Sample. 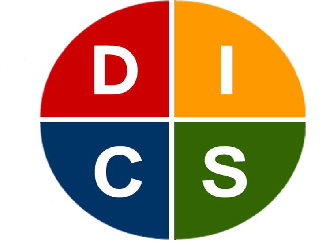 DiSC test preparation helps you match your personality profile to the traits sought by your prospective employer. JobTestPrep offers a full-length practice test to help prepare you for employment personality tests. Our practice test is accompanied by a personalised report highlighting the response patterns that may endanger your job application. By carefully and systematically studying the principles of personality tests, and by rating your individual responses, JobTestPrep helps you effectively take employment personality tests like the DiSC. Optimise your score today!